Couponing is a great hobby that can save money and can help someone make money back on their groceries. It is rare, but some people have been known to get over 100 items for free or even be paid for their groceries! Sunday Newspaper: Although it is common for most “couponers” to use their local newspaper, some have found that by driving a little further and grabbing another city’s newspaper, they can reap high rewards. This is typically most effective for someone who lives outside of a major city and is able to drive 2 hours or less for their newspaper. Larger cities tend to have better deals in their newspapers and may include more deals than the local newspaper. Click here, to see a list of some of the top cities for coupons. Company Website: A great way to find coupons for a specific brand or item is to search for the item name, with the word “coupon” next to it. Make sure the website address is either for the brand or for a company that carries the brand. An example is searching “Godiva Chocolate Coupons” and seeing the Godiva website or Groupon, which are safe websites to visit. A good rule to go by is “if it sounds too good to be true, it probably is a scam”. Outside Websites/Applications: Some great websites and applications are Retailmenot which is a great resource for standard shopping deals, Groupon is great for local events, restaurants or large purchase items, and Daily Coupon Deals allows users to print their coupons and bring them to the store. Additionally, here are 100 of the best senior discounts available across the web. 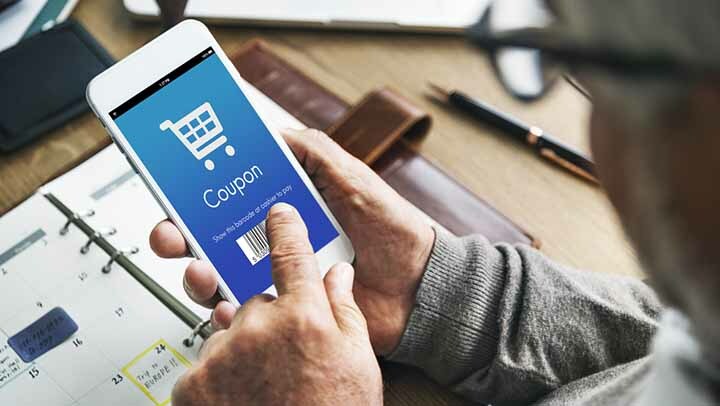 There are many more websites and applications for mobile devices that can provide great coupons, just always exercise caution when looking online. Take Pictures of Restaurant Signs: A great way to save money on eating out is to keep tabs on what each restaurant offers on different days. Varying by location, typically restaurants will offer different deals each day of the week. For example, a restaurant may offer 20% off on Tuesday, but not offer that on any other day of the week. It can be difficult to remember each of the different deals, therefore to make things easy, take a picture of the deal on a cell phone and refer to it later when dining out. It is always important to note that some coupons have more restrictions than others and that it takes time to find the best deals. However, with time and experience anyone can save over $500 a year simply by paying a little more attention to their coupons.